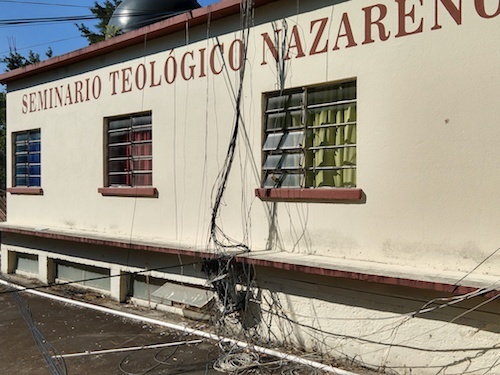 In January 2018, the Global Mission IT team was invited to Seminario Teologico Nazareno de Guatemala to upgrade and relocate the network infrastructure. 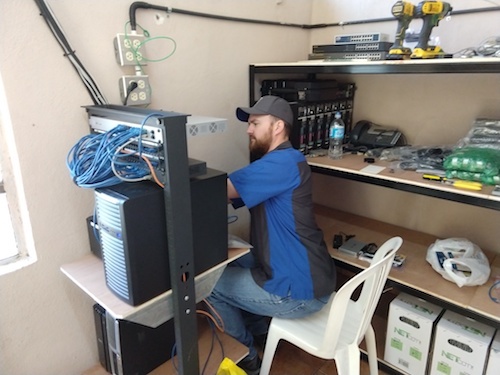 A team of nine techs worked together to stabilize the power, run cable, hang access point, program switches, install a rack and more. We are incredibly grateful for the work that we have been able to do in Guatemala. Through this system, 1,400+ students will be trained, the administration will have new tools to ensure that student accounts are organized and the professors will be able to interact directly with students to ensure that they are discipled and trained for ministry. 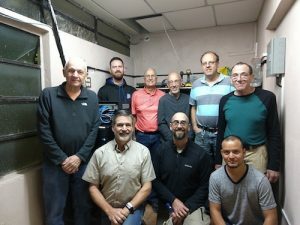 We stayed on campus in Guatemala City, Guatemala where Roger and Damaris Kellogg, along with Filiberto and Nidia Yat, graciously hosted us. The beautiful campus is built on hills, so as we worked around the campus, each of us used our phones to count our steps. In one day, one team member logged more than 20,000 steps and the equivalent of 160+ flights of stairs climbed. 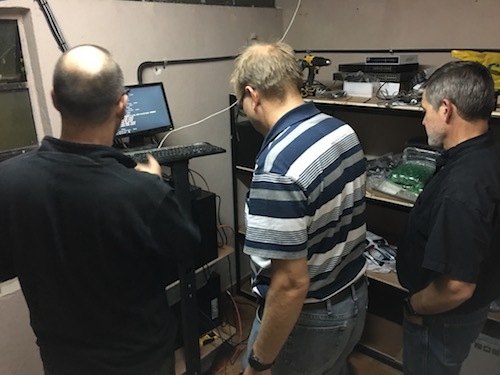 It was definitely a highlight for us to be able to work alongside the MesoAmerica Region IT Director, Carlos Salazar. We are thankful for him! This entry was posted	on at and is filed under Past. You can follow any responses to this entry through the RSS 2.0 feed. You can skip to the end and leave a response. Pinging is currently not allowed.